Not a huge fan of beer? Love wine? Peer pressure to go to a beer festival? I recently survived – no, actually enjoyed! 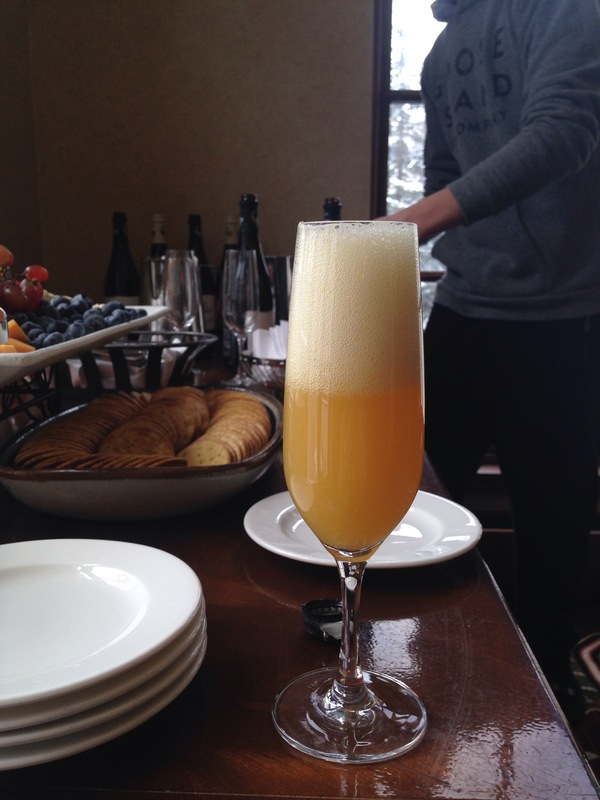 – Vail, Colorado’s 16th annual Big Beers, Belgians, and Barleywines Festival. Discover beers you might not expect to like! If you follow this blog, you know I’m a wine drinker. I enjoy the interaction of wine with food, how both compliment one another so well. I havent felt the same about beer very often. Sure, I’ll drink an occasional beer, but I find a lot of craft beer to be too bitter, thanks to hops, and too filling, thanks to all that grain. It all goes back to when I was a toddler, when I occasionally swiped my dad’s bottle of Heineken off of our coffee table for a sip. I hated it. It made me think of stale, unsweetened ginger ale. Parents, lest you feel horrified of the idea of a 2 year old sneaking beer, just know that it was the best deterrent to underage drinking ever. I was completely uninterested in drinking beer in high school and college. As an adult, I am usually uninterested in it still, but my palate does appreciate the craft of brewing. Belgium and Germany’s beer cultures, in particular, are deserved sources of national pride. Having spent a fair amount of time in both countries, I respect their brewing traditions. The USA also has a strong beer history – especially in the Rockies. But in the past decade particularly, the rest of the country has jumped on the craft, microwbrew, and home brew industry bandwagon. Unlike winemaking, brewing beer poses few barriers to entry. It is the common man’s (or woman’s!) craft, offering entrepreneurial hope – or a passion project – to so many. Vail’s Big Beers festival celebrates both the local and the global beer industries. For those not in the know (or haven’t guessed), the term “Big Beers” refers to alcohol content (ABV). No weak beers allowed! Other than that, the festival invites attendees to taste the diversity of craft beer – or as one friend put it, the opportunity to take on a mission and focus on a specific type, flavor profile, or origin. The festival, held over three days, offers seminars, coveted reservations at the brewmasters’ tasting menu, cigar and beer pairings (AKA – s$&@ show), beer yoga, all culminating in a four-hour tasting extravaganza. Prior to the final day, I was mostly a spectator in this raucous subculture. But when The Yoga of Brewing was offered, I couldn’t pass that up. 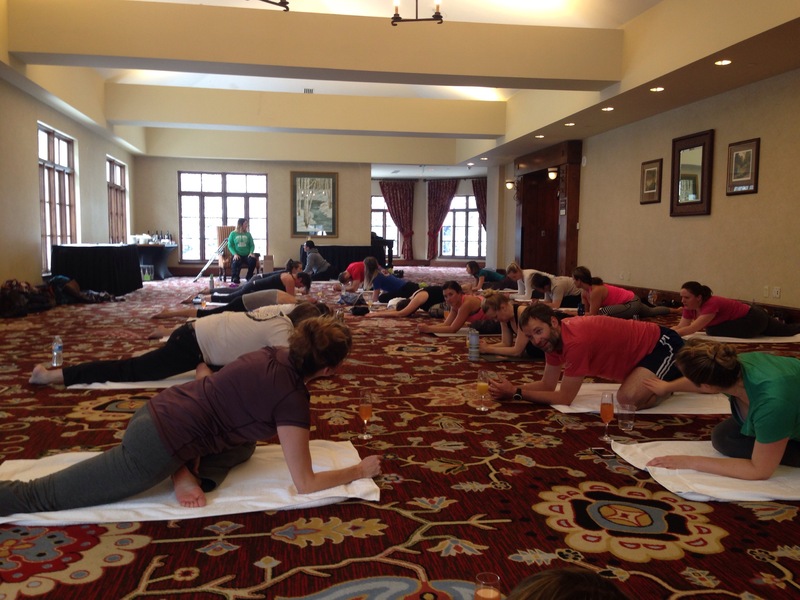 What is beer yoga? Apparently it is a “thing” – check the Instagram tag #beeryoga, and you’ll see over 3700 posts. While I am a dedicated yogi, beer yoga goes against everything yoga holds sacred. Mixing beer and yoga is like throwing in a harmonica with a string quartet. Oh so wrong, but if done well, it kind of works. This particular beer yoga involved beermosas – combining an effervescent saison with orange or grapefruit. Wisconsin’s Goose Island Brewing Company served up their Sofi, which is brewed with champagne yeast and does taste a bit like a slightly bitter, malty sparkling wine. The yoga instructor offered up a great practice for all experience levels; funny enough, it was the most experienced yogis that appeared to find the most opportunities to squeeze in a sip of beermosa between or during asanas. Pigeon pose, in particular, is an excellent time for a beermosa break! At the end of the practice, yogis could nab a refill or try Goose Island’s Gillian, a sour ale with hints of strawberry and pepper. With beer yoga behind me, I was ready to take on the chaos that was the beer testing. Held in an exhibition hall (really, a warehouse) at the Vail Cascades resort, row upon row of stalls offered generous samples of beer and Barleywines – both domestics and imports. My favorite Belgian imports came from Oude, Rodenbach, and Kasteel (Castle). Rodenbach’s limited edition Caractère Rouge is a cuvée (blend) that has been aged for two years, including six months of maceration with cranberries, sour cherries, and raspberries. The result was richly fruity with a balance of sweet, tart, and bitter. 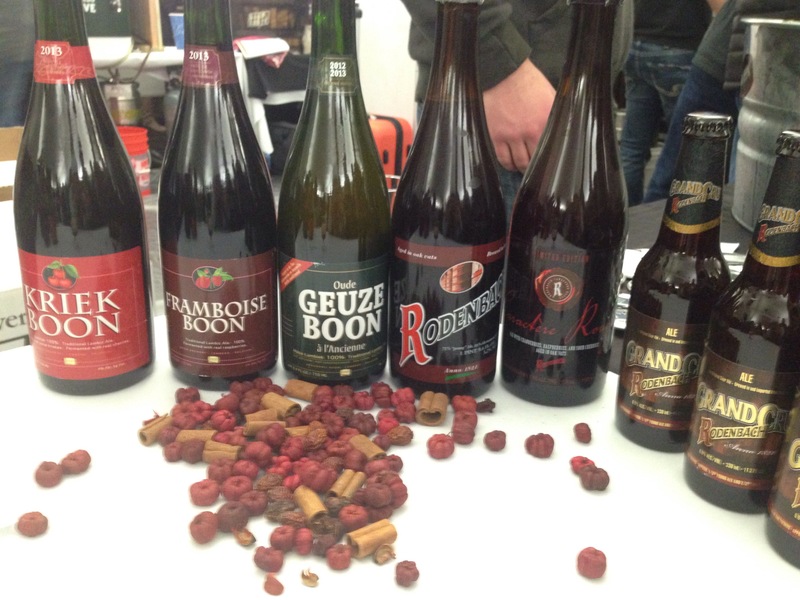 Rodenbach Grand Cru was another highlight. It has a 200 year production history that allows it to receive the protection of the Belgian government. 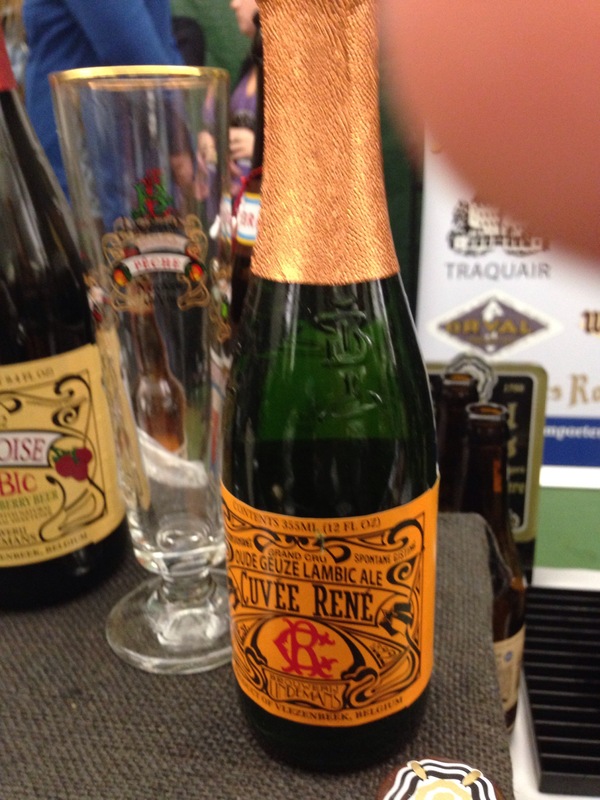 It is a cuvée of 60% two-year old beer and 40% one-year aged beer. Rodenbach’s historic brewery is so well-established that the beer undergoes Spontaneous fermentation based on naturally occurring yeast, rather than with the addition of brewer’s yeast. It’s a claim few others can make. 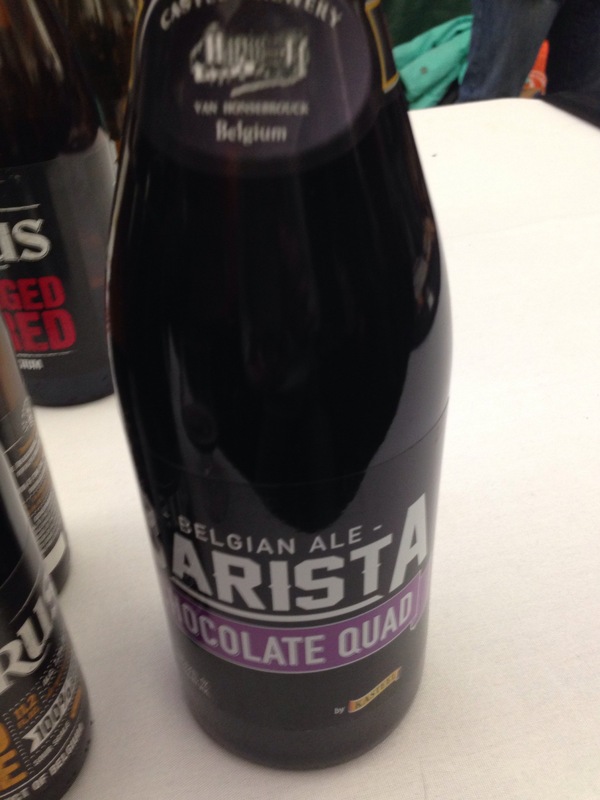 Kasteel’s Barista Chocolate Quad is a very strong, robust dark ale fermented with Belgian chocolate. It was fantastic to this chocoholic! Their Petrus Aged Red is a double brown ale brewed with cherries; it too bore the mark of a deft brewer. It was much more smooth and subtle than other cherry ales and the lambics. 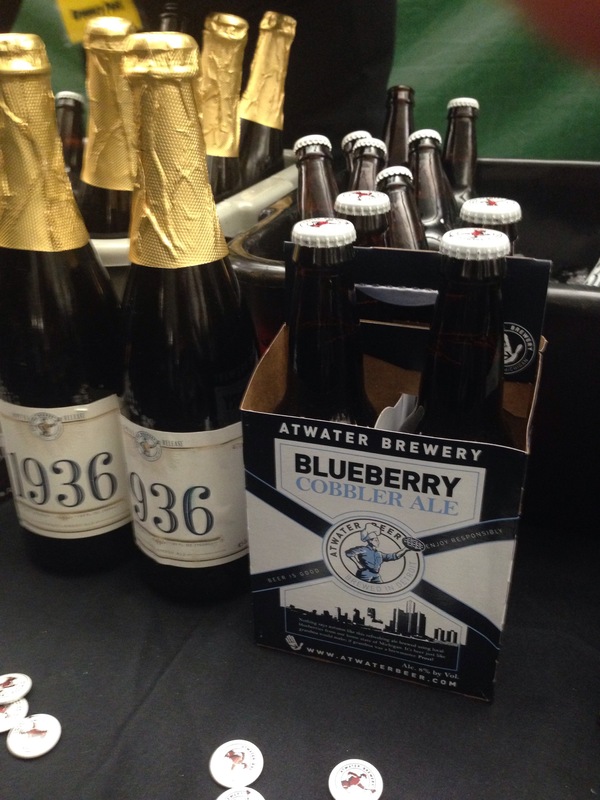 Atwater made a tasty blueberry cobbler porter. It seemed to be a bit lighter in body than most porters, with smooth malt, and a pleasant non-hoppy bitterness – not to mention the flavors of fresh, ripe blueberry. I was embarrassed to set women back by tasting only that one from Atwater, but the booth worker told me it was their most popular beer by far. 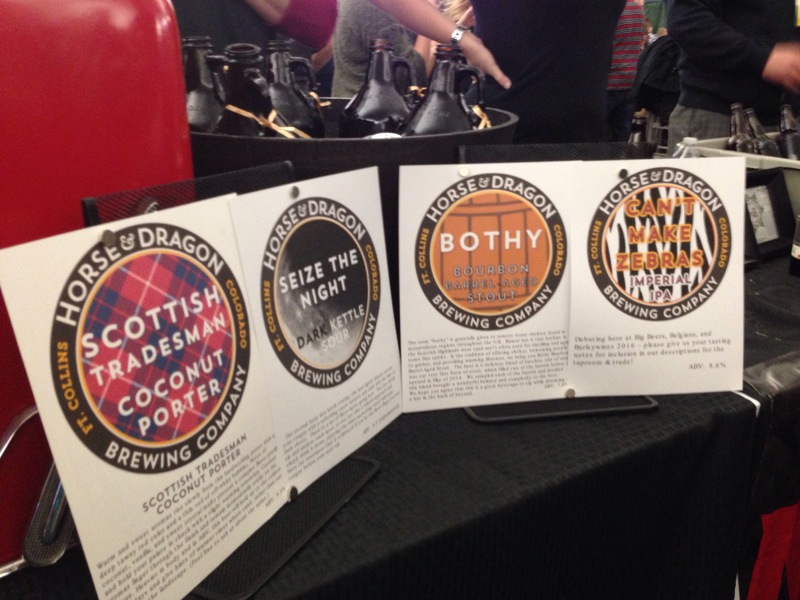 Also worthy of mention was Horse and Dragon’s Scottish Tradesman Coconut Porter: who knew coconut would work so well with a porter? Verboten Brewing drew me in with the name of their Never Lose Russian Imperial Stout. It was richly bold with clear notes of coffee and hazelnut, like drinking black hazelnut coffee with a shot of Frangelico. Redstone Meadery brought the lone contingent of meads. If you’ve never tasted mead, you’re missing out. It’s a wine made from fermented honey, and like grape wines and beers, you can find great diversity in the body, sweetness, and aroma of mead. My neighborhood brewery back in Virginia sold a fantastic honey apricot mead from North Carolina, but alas, they discontinued it. So I was pretty excited to try Redstone’s four varieties of sparkling mead, which, they told me, is a new trend in mead. It was also fairly low in alcohol, at 8% ABV, which created a light and refreshing beverage. Their nectar of the hops was my personal favorite, as it had so many different subtle aromas. In contrast, their flavored meads were tasty but a bit more intense and single-noted: pumpkin, black raspberry, and passion fruit nectar were more tart. By the end of the commercial tasting, much of the crowd showed visible signs of a few too many samples. But for me, I can only stomach so much beer, so I left with my faculties and dignity intact. The experience was far more enjoyable a beer education than this wine drinker would have thought possible.